Germany Crashes Out of World Cup; Changes To Be Made? The Titanic was once a well-oiled machine. People around the world were truly captivated by its ingenuity, power, aesthetics, and popularity. Seemingly nothing could derail the continental trip from the shores of England to the bustling harbor in New York City. And then…an iceberg wiped out all plans of grandeur — instead creating a catastrophic event. Once a beacon of hope and prosperity, the Titanic instead became a symbol for failure. The same can be said about Germany in the 2018 World Cup. Jogi Low’s team was a major favorite heading into this tournament. It was expected to potentially be the first team since the 1958/1962 Brazil group to win back-to-back World Cup titles. The roster was stacked with world-class players. It featured the best keeper in the world (Manuel Neuer), a rock-solid centerback pairing (Mats Hummels, Jerome Boateng), a former Golden Boot winner (Thomas Muller), and three bright talents (Julian Draxler, Timo Werner, Julian Brandt) ready to feature on the planet’s grandest stage. Above all else, this group had — with had being the operative word — the pedigree necessary to make another deep run. Unfortunately for all of those in Deutschland, the well-oiled machine broke down into a pile of scattered parts. Germany’s 2018 World Cup tournament abruptly ended after three games. It was a crazy range of emotions on the proverbial rollercoaster. It ultimately had the car on the rollercoaster flaming out before plummeting into the unforgiving ground. Losing to Mexico in the tournament’s opening match was somewhat shocking. Not only did Germany go goalless, but it was thoroughly played off the pitch by a team it was expected to dispose of. In the next match versus Sweden, last-second free kick heroics from Toni Kroos saved Germany from being bounced from the tournament after two games. In the final game of the group stage, Germany took on South Korea. Many had the Koreans slated as the “weak” team in Group F. There were a number of iterations leading to Germany not only advancing to the knockout stage, but perhaps getting the top spot in the group. With Mexico thoroughly being dominated by Sweden on the other side of the group, Germany simply needed a win (by any margin) to advance. After all, we’re talking about the defending World Cup Champions. The Germans were ranked as the No. 1 team in the world by FIFA — whereas South Korea registered at No. 57. Germany peppered South Korea’s goal with shot after shot. Die Mannschaft finished with 26 shots, six shots on goal, and 70-percent of the game’s possession. Yet, there was never a breakthrough. Hummels missed a Chris Wondolowski-like header toward the end of the game in brilliant fashion. It could’ve been a case where the ball simply didn’t bounce Germany’s way. However, that lazy mindset is just that — lazy. Germany could’ve had one poor half out of six. Aside from the furious second half efforts versus Sweden, one could make the argument that the Germans simply weren’t good enough. It’s the first time since 1938 in which Germany has been eliminated from the opening round of any World Cup tournament. Let’s break down what went wrong exactly for Germany. Simply put, the attacking options were not nearly good enough. Muller struggled at club level — and this form manifested itself yet again during this three-match stretch. He was then dropped for the decisive match versus South Korea (something that likely zapped any semblance of confidence he may have had). Werner appeared nervous, and almost skittish to the point he rendered himself useless. Whether it be Werner thinking about an expected move to a bigger club, or the pressure of starting for his home country, he didn’t look anything like the player we saw this past season in the Bundesliga. Mario Gomez really should’ve been forced out of the national team program. A player lacking in both pace and confidence, Gomez flubbed multiple golden scoring opportunities when introduced as a substitute. These were the types of chances that Sandro Wagner (a last-minute omission) would’ve buried. The central midfield pairing of Toni Kroos and Sami Khedira was shockingly bad. Khedira was dropped for the second match versus Sweden — only to reappear in the loss to South Korea. Kroos looked uncharacteristically sloppy with the ball — both in terms of dribbling and spraying it around the park to teammates. Save for his brilliant free kick goal, Kroos unfortunately did not perform up to his normal standards. Mesut Ozil was as threatening as a two-year-old holding a handful of cotton balls. The attacking midfielder looked uninterested throughout the tournament. There was no suddenness to his passing — nor was there a real effort on tracking back defensively (see Mexico’s goal in the first match). Like Khedira, Ozil was dropped for one match before being reintroduced. Joshua Kimmich did his best to bomb up the flanks with overlapping runs. Though he’s certainly terrific at whipping crosses into the box, it’s asking an awful lot of your right back to consistently make these runs whilst also tracking back defensively. Much of Kimmich’s responsibility came from poor wing play — whether it was from Muller, Draxler, or Marco Reus. Collectively, Germany looked slow. Khedira looked past his prime, and Ozil simply didn’t exhibit the defensive principles needed to play heavy minutes. The midfield was run roughshod over, and there was little to no commitment in terms of protecting the back four in situations where Germany was being hit by the counter. Germany has recently been known for its organization all over the pitch, as well as its overall sharpness on the ball. There’s been a crisp nature with which Germany’s played under Low’s leadership. These traits we’ve all come to love completely disappeared in this tournament. Germany was bizarrely bad on the ball. There were a number of errant passes all over the pitch. Germany also had a bear of a time trying to connect in the final third. Passes would simply fail to find teammates in threatening spots on the pitch. Defensively, Germany was all sixes and sevens when accounting for opposing players in space. 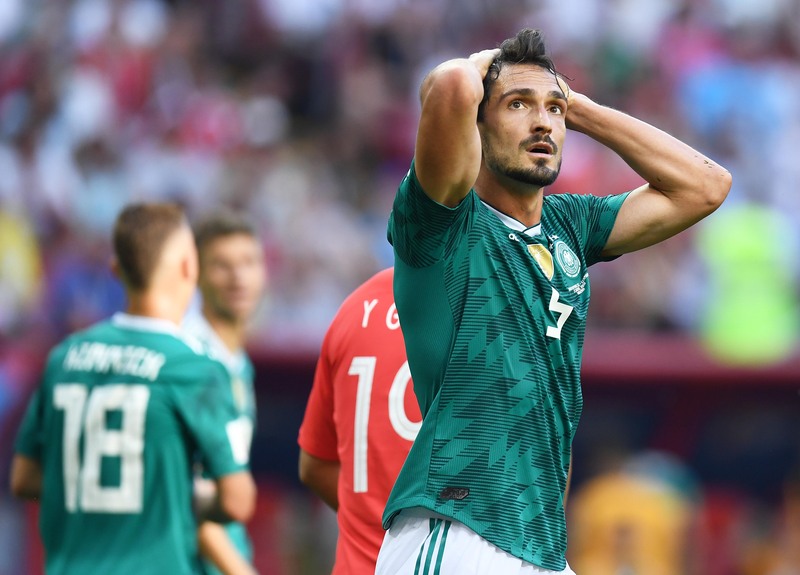 On more than one occasion, Hummels was shown screaming at teammates during the conclusion of a post-counter challenge. It didn’t help matters that Low started a plethora of different defenders (Hummels, Boateng, Kimmich, Jonas Hector, Marvin Plattenhardt, Antonio Rudiger, Niklas Sule) over the stretch. The same can be said for the midfield, where Low shuttled out players on a match-by-match basis. 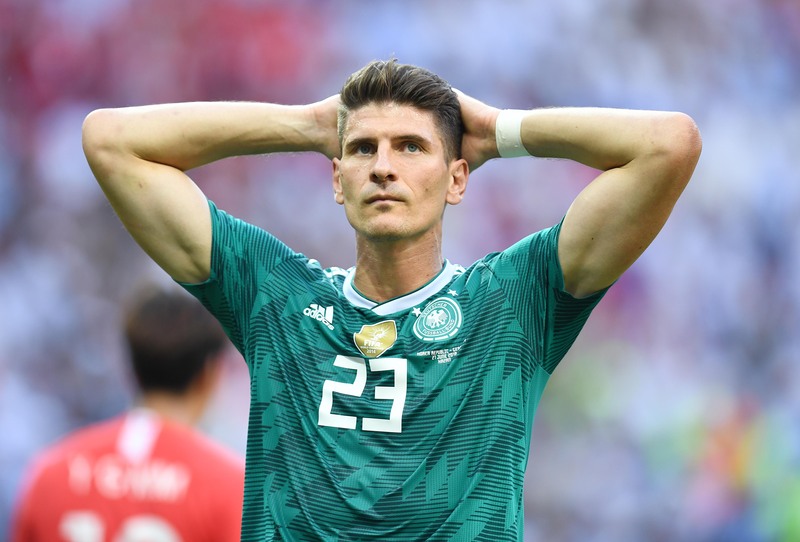 Accomplished players (Muller, Khedira) were dropped in favor of unknown commodities (Sebastian Rudy, Leon Goretzka) on the international stage. Ilkay Gundogan — a player with tremendous promise — received a cameo only in the Sweden match. Brandt looked like the most aggressive and effective attacking player every single time he stepped on the pitch. However, Low failed to start him — and instead brought him on only in a reserve role. It’s almost mind-blowing to see these traits — dull, lethargic, slow, laborious, scattered — attributed to Germany. There’s the thought that Germany simply didn’t have the same hunger it had prior to the 2014 World Cup. This makes sense to a degree, though four years has passed since the previous triumph. There were rumors of locker room strife — particularly centering around Ozil and Hummels’ public displeasure over a lack of defensive shape. With all of that said, there’s only one person to blame for this cycle’s failure: Low. It was almost as if he was experimenting to find what he viewed as the ideal XI. This should not be done during the group stage of any World Cup. Low used an experimental side last summer en route to a Confederations Cup crown. That team was fast, dynamic, and consistently threatening the goal. Only a handful of players from that side made this year’s team. Instead of integrating younger talent, Low opted to rely heavily upon those from the 2014 World Cup team. Though surprising considering Low’s coaching chops, it certainly seemed as if he was reaching for something out of the proverbial bag. Instead of grabbing gold, he grabbed a large chunk of horse manure. By consistently changing formations and the said personnel, Low effectively never enabled his side to develop any semblance of rhythm on the pitch. And then… there’s the Leroy Sane situation. The 22-year-old is one of the best wingers in all of England. Starring for EPL champion Manchester City this past year, Sane was recognized as the PFA Young Player of the Year. In only 28 appearances, Sane registered 10 goals and 15 assists. With sublime pace and excellent skill, Sane appeared to be a virtual lock for this roster. Instead, Low left him off at the very last minute. It still remains a head-scratcher — though many speculate that a personal disagreement between the manager and player led to Sane’s exclusion. Instead of featuring for Germany at last year’s Confederations Cup, Sane opted to have corrective surgery on his nose (chronic nasal congestion). This may have been taken as a sign of disrespect, or even a lack of commitment. Either way, Sane was left home. Had he been at the World Cup, he would’ve slotted in beautifully on the left wing. Werner would’ve been able to stay in his natural striker spot as opposed to being marooned out on the wing in an unfamiliar spot. Sane’s brilliance on the ball would’ve also led to Germany’s outside backs staying in a more stationary position rather than having to overlap constantly in support of the meager offense. When the likes of Hector, Kimmich, and others helped in the attack, the opposition struck with much effectiveness. Not only was there a lack of ample cover on the back end, but the vacant space on the pitch caused Germany’s defense to lose its shape — and thus become incredibly unorganized. Above all else, Sane would’ve given Germany some much-needed width on the flank. This will be one of those “what ifs” attributed for this tournament until the end of time. National team managers usually stay with their teams for one four-year cycle before departing. Low has been an assistant coach with Germany since 2004, and took over in 2006 when Jurgen Klinsmann was sacked. Early reports have Low staying on in the wake of this embarrassing result. EURO 2020 is only two years away, and World Cup qualifying for 2022 will come quicker than anyone thinks. If Low does stay on, he’ll have to take a deep, long look at the current state of the program. He’ll surely have to phase veteran players out, and thus continue to develop/integrate younger talent. 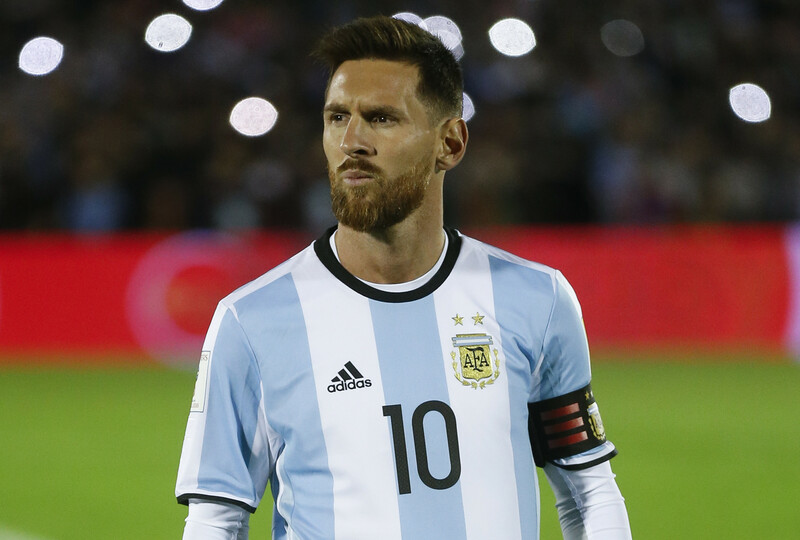 What's Next For Messi and Argentina?